We received 145 responses from both APA Ohio members and public health professionals across 34 Ohio counties. Approximately 10 percent of the respondents were public health professionals. View the survey results here. 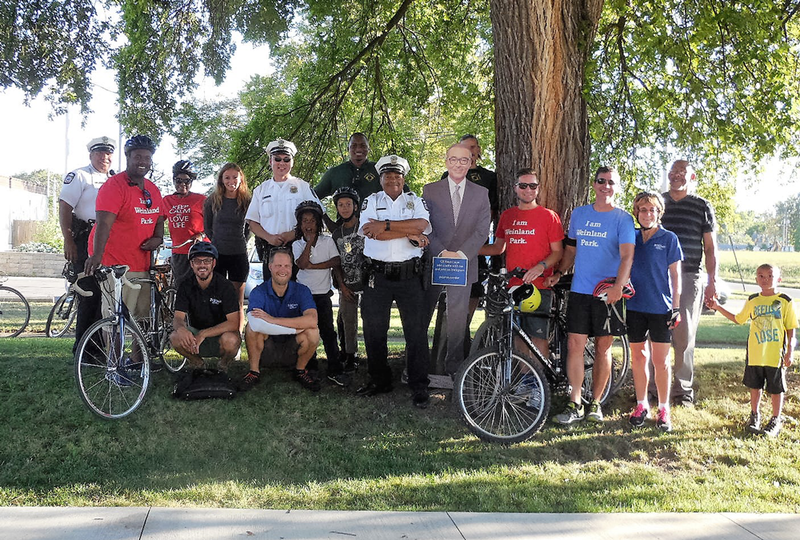 Plan4Health coalition members lead a neighborhood pride ride in Columbus, Ohio. Photo by Elizabeth Hartig. In July 2017, the task force conducted a roundtable with the Ohio Public Health Association (OPHA). Outcomes included their understanding of the Plan4Health initiative and a joint interest in collaborating on a regular basis, with more action items below. Yearly one-day OPHA conference in Columbus that sees ~75 attendees from across the State of Ohio. Focus is on learning about public health, social determinants of health and the impact on education, and the importance of incorporating health and equity into all policies. Idea is to make this a joint conference in 2018 by incorporating planning into the discussions throughout the day and ways in which to collaborate between public health and planning. Top image: Riverfront in Columbus, Ohio. Photo by Randall L. Schieber. Christine Dersi Davis, AICP, is executive director of APA's Ohio Chapter.